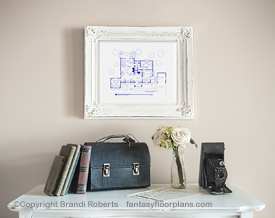 Buy a poster of the Leave it to Beaver house floor plan! 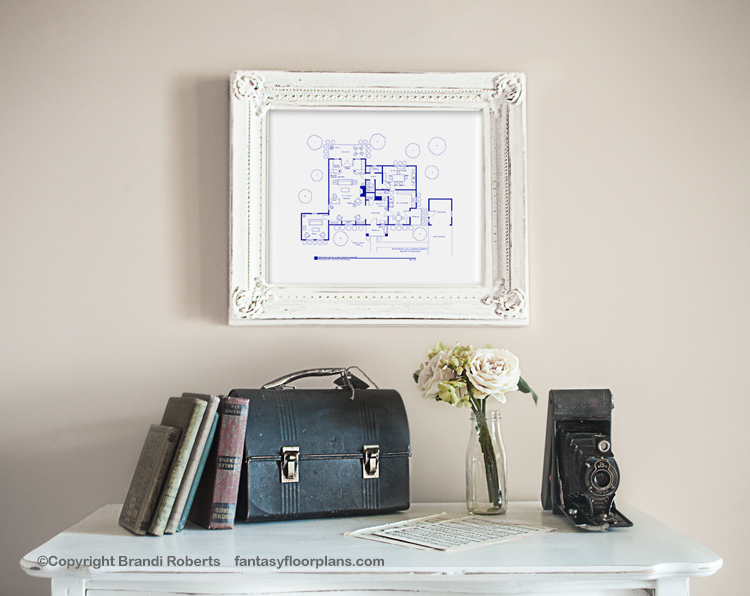 Ever wondered what the Leave it to Beaver house floor plan looked like? 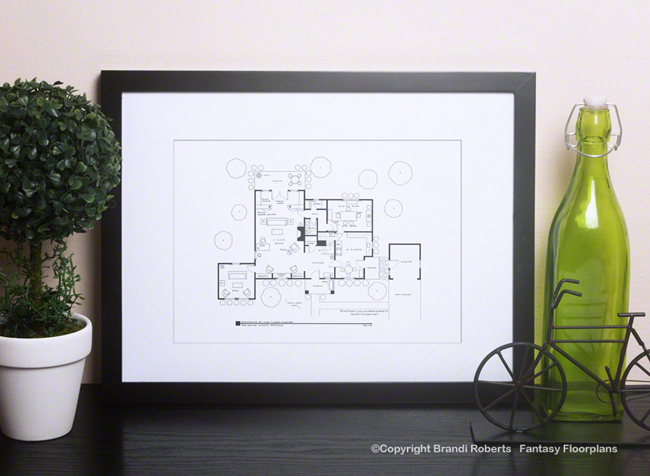 My fictional floor plan is a great way to pay tribute and bring back the TV nostalgia of your favorite show! 513 Grant Avenue is the first home that the Cleaver family resided in. 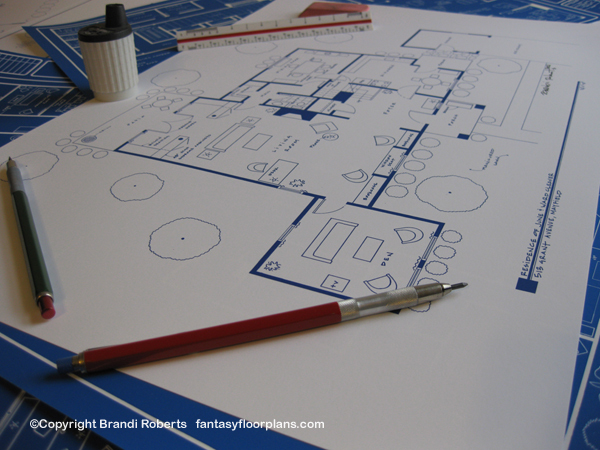 My expertly hand-drawn floor plan is of the first floor. It features a detached garage, a modern kitchen, dining room, half bath, foyer and includes the never shown den to the left of the living room. 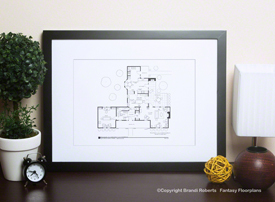 In the backyard you'll find a patio and well manicured lawn. 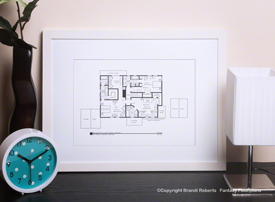 Its style is all American. 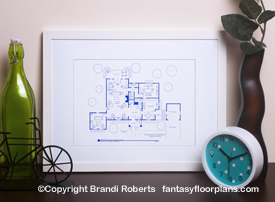 Make it a complete set and buy my fictional floor plan of Leave it to Beaver's second floor here. My Leave it to Beaver house floor plans are a great conversation piece in your home or office!